Teacher Aaron Dublenko works with students and teachers from local high schools (Queen Elizabeth, Argyll Centre), and even with teens from across the province in a dynamic online platform, around sustainable development and environmental awareness. Working with the idea that though students may not have decision-making powers, they can still be agents of change, Dublenko has helped grow the program from simple beginnings in 2007 when he was a science teacher at Queen Elizabeth. 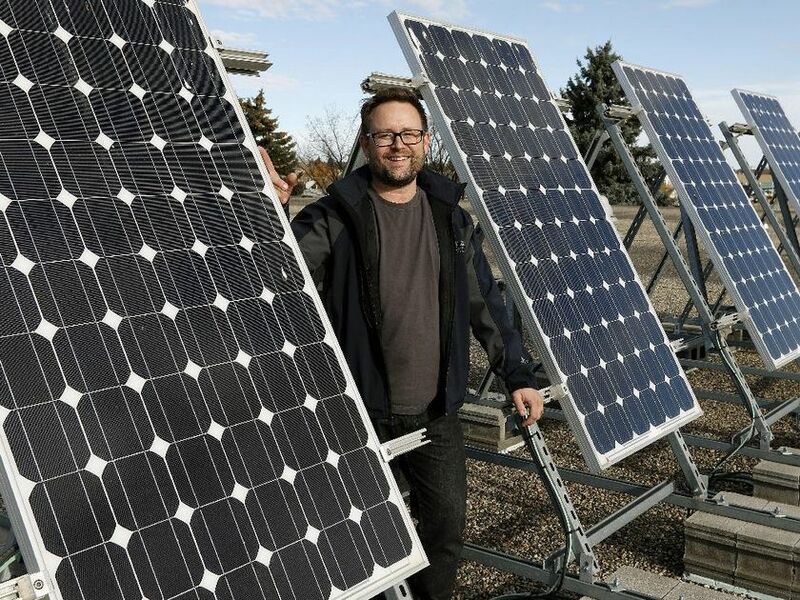 Back then, a project of getting a few solar panels on the school roof started a lesson in the challenges of real world problems such as government and school board resistance. A decade later, the school division is well on board, with over 200 schools installing solar panels too. Students work with Dublenko and community experts on projects like home energy audits—which may lead to certification and dual credit (high school/post secondary) eligibility. Innovate students are already able to earn certification in sustainable energy. The program is also looking to expand into the elementary school level.